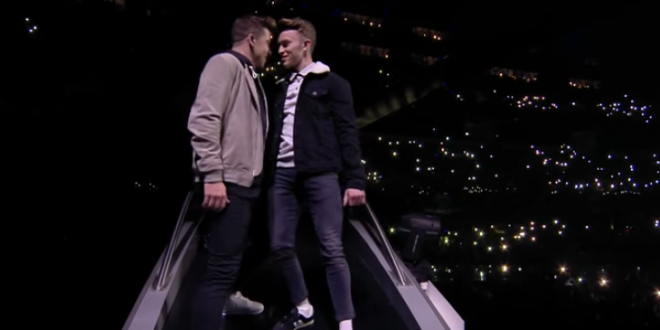 China Loses Eurovision Broadcast Rights After Editing Out Ireland's Entry Over Gay Dancers [VIDEO] - Joe.My.God. Mango TV, a video-streaming site linked to one of China’s most watched channels, Hunan TV, blacked out the performance of Ireland’s Ryan O’Shaugnessy, during which two male dancers depicted a fraught relationship. The site also pixellated a rainbow flag waved during another performance. The EBU said on Friday it had terminated its partnership with Mango TV because the censorship was not in line with its “values of universality and inclusivity and our proud tradition of celebrating diversity through music”. Ireland’s Eurovision entry Ryan O’Shaughnessy has welcomed the European Broadcasting Union’s decision to ban China from airing the singing competition after the country censored his performance because of its LGBT content. The finals are tomorrow and I’ll post a live-stream.